1900 – 1914: Incredible Period of Invention. Whereas philsophy and theology continued to grow darker, the mood surrounding industry, science and technology greeted the new 20th century with excitement and invention. There had never been a period of such rapid and massive invention than the early 20th century. If you tick off in your mind all of the things that we take for granted today that were invented in the period just prior to World War I, it is mind boggling: the light bulb, the airplane, the passenger automobile, the phonograph, indoor bathrooms, modern waterworks and sewage, the cinema, the radio that anyone could buy for home, and on and on. Such invention, however, was the product of the western world’s gigantic industrial machine and its imperial and colonical control over most of the world. Most of the tensions that led to World War I involved balances of power, who owns or controls what portions of the world, with Germany jockeying to control more than they had. The outbreak of World War I in 1914 coincided with massive advances in weapon technology. The war began with both sides equipped with an endless supply of weaponry that had never been used in such a war before: the machine gun, artillery, chemical warfare, grenade launchers, jelly bombs, airplanes and zeppelins. The war was supposed to be over in a matter of months, at least, that is what the hundreds of thousands of idealistic Brits who volunteered to cross the Channel and fight with the French believed. It lasted over four years, and caused 37 million casualties. Of those 37, over 1 million young British men and women died in battle. (Over 100,000 British civilians died, by the way, from such things as the Zeppelin attacks over London, which terrorized the city. No one had ever imagined they would be bombed from the sky.) In the Battle of Somme alone, over 1 million soldiers died. In one day of that battle alone, more soldiers died than in the entire Viet Nam War. The Division in History: Before and After War. I only emphasize the grim facts of this war to make it clear that one cannot overestimate the impact this war had on all of history, one a British mentality, and, consequently, on all literature and art that followed. The Western World went into the war in 1914 optimistic, believing that they were the masters of civilization, providentially chosen. The Western World came out of the war in 1918 with all millenarian beliefs crushed. For the first time in history, England questioned what humanity and civilization is. The incredible industry and invention that had made the country great was also responsible for the incredible machines of killing that allowed for such amazing loss of life. People wondered how the most civilized nations in the world could slaughter each other over a four year period. I cannot do justice emphasizing in one short online lecture the monumental changes to British culture the war had. There are many good books on the subject. One I highly recommend, The Great War, by Paul Fussell. He was an English professor, and had first-hand experience with the war. He writes about the ways in which the war even changed the English language as we know it. Up until the war, literature became caught up in the spirit of change and invention that was occurring in the world. The desire among writers and artists was to “Make it New!” There was a strong drive to break with a literary tradition, and to try new forms and ways with written expression. One can also see this drive in visual arts, with post-expressionism and cubism. After the war, the desire to Make it New prevails, but with a different tenor. There is a dominant mood of darkness, alienation and betrayal in the post-War literature, combined with a spirit to break completely with the past and to try to make sense of a world that had become fractured and meaningless. Writers were in a state of shock of the destruction of the war, but they also wanted to use art in order to create meaning in the world, or at least to try to re-create meaning. Thomas Hardy and T.S. Eliot. Thomas Hardy is a very interesting poet because he straddles both a late Victorian world and an early Modernism. His poems are generally dark and pessimistic, and, like “Channel Firing,” he seems to sense the growing darkness. T.S. Eliot is arguable the father of Modern Poetry. He wrote “The Love Song of J. Alfred Prufrock” several years before the war, and when he was still a United States citizen. He was unable to find a journal to publish the poem until the middle of the war. The poem was shocking to audiences. The subject matter of the poem was new and unusual: the dramatic monologue of a balding, middle aged man who feels that life has passed him by. Eliot makes a concerted break with the sappy, romantic poetry of his time that was very popular. With this poem and his subsequent prose, Eliot calls for a more strict, classical, difficult and challenging poetry. He emphasizes experimentation with form combined with a classical, labored and stringent content. During and after the war, “The Love Song of J. Alfred Prufrock” hit a chord with American and British audiences who identified with Eliot’s expression of loneliness, alienation, confusion, desparation, betrayal and meaninglessness. His major poem, The Wasteland, which came out in 1922, depicted culture as dried up, dereacinated, futile–all of the greatness of literature and art of the past becoming twisted, corrupted, mutated and forgotten. The poem was a wild success with a generation feeling dark and diaffected by the war. The Poem as an Interior Monologue. As you read the poem, keep in mind that it is an “interior monologue.” This means that everything in the poem is spoken from inside of Prufrock’s mind. Therefore, try to understand the poem as an assembly or collage of images that all somehow reflect Prufrock’s state of mind. As you do so, keep your eye on the dramatic situation: Prufrock is walking somewhere through a bad side of Boston. He has somewhere to go. Where? Ask yourself where you think he has to go, and who he wants to see, and why he is anxious about the meeting. Then, notice three quarters through the poem that he passes up his destination. By the end of the poem, he is on the seashore, admitting his failure to reach his destination. Use the questions below to help you in re-reading the poem. The questions could serve as points of interest and places that are important. Here, by the way, is T.S Eliot reading this poem in the 1920s, a famous recording. Perhaps you could listen to it as you read the poem, or read my questions. It is a beautiful and helpful reading. Eliot\’s reading. 1. The famous first three lines always stumped people first reading the poem as they still do today. Can you imagine an editor reading this poem in 1915, and getting past the first three lines? More than likely, the opening of the poem is what made it end up in the wastebasket more than anything. How do you interpret the odd simile of lines 1 – 2: “Let us go then you and I,/When the evening is spread out against the sky/Like a patient etherised upon a table.” How can the dusk look like a patient on a surgeon’s table about ready for the scalple? Further, what does it say about Prufrock’s state of mind, the way he sees the world? 2. Lines 4 – 12 essentially situates Prufrock and the reader in his location. It sort of gives both a sense of his environment, where he is, while it further develops his state of mind. Based on “half deserted steets,” “restless nights in one-night cheap hotels / And sawdust restaurants with oyster shells,” what part of town (Boston) is he in? How would you describe such an area of town? What do you think Prufrock means by the simile (again, describing his surroundings), “Streets that follow like a tedious argument / Of insidious intent” ? What do the images of Boston he sees say about his frame of mind? How he sees the world? 3. Lines 11 – 12 suggest Pruforck’s destination, his intent in the poem: “Oh, do not ask, ‘What is it?’ / Let us go and make our visit.” In the context of the poem, where is Prufrock walking? Where may he be going? (Granted, you have very little information so far). 4. Like the first three lines, lines 13 -14 always throw students: “In the room the women come and go / Talking of Michelangelo.” Why on earth are these two lines here, in the middle, suddenly? What do they have to do with Prufrock’s thoughts? It might be easier to consider oppositions. How do the two lines suggest a very different environment from the preceding lines? 5. Lines 15 – 23 are a wonderful meditation upon “yellow fog” that Prufrock obviously sees as he is walking to his “visit.” This passage is an example of imagism: when a poet uses “pictures,” visual “images” of usually natural aspects of the world to convey mood, impressions, meaning. Eliot was very influenced by “imagist’ poetry at the time, poets who would write very short poems that often would focus on just one image. In many ways, “The Love Song of J. Alfred Prufrock” is a long series of imagist poems, linked together like a collage, in this case a sort of imagist-tapestry of Prufrock’s thoughts. Look at the passage of “yellow fog.” How does he describe the fog? Why is it “yellow?” Most importantly, what does the yellow fog resemble in Eliot’s description, as when it “rubs its muzzle” and “licked its tongue” and “Curled once about the house and fell asleep.” Why does Eliot compare the yellow fog to such resemblance? What does it say about Prufrock, and how he feels? 6. In lines 24 – 34, Prufrocks repeats “There will be time” six times. What type of mentality does Prufrock exhibit by repeating this line? What kind of anxiety is he expressing? Why might he be expressing this particular type of anxiety? (Remember, the visit.) When does a person, “prepare a face to meet the faces that you meet”? What does he mean by, “time yet for a hundred indecisions /And for a hundred visions and revisions”? 7. In lines 37 – 49, Prufrock offers the first real details about the place /event he is possibly walking to. Notice that the passage is in the future tense, as he imagines what might happen if he goes. What is Prufrock self-conscious of? even paradoid about? What does his anxiety say about his supposed “crisis”? A rough draft of Eliot’s poem. The piece of paper that launched poetic modernism! What’s cooler than that? 8. In lines 49 – 69, Prufrock gives a long description of various social things. What people and type of society is he talking about? How does he feel about these people he describes, who we may assume are the people he would interact with at the “visit?” How does he feel about his position in this world? 9. In lines 87 – 98, Eliot makes a very subtle but important shift in the poem. It is a shift in grammar, in tense, “And would it have been worth it . . . ” What is the shift in tense, and what clue does this give us as to the action and development in the poem? What may it say about what Prufrock does (or doesn’t do)? 10. Up until lines 110, what type of scenario does he imagine as possibly might have happened in the future? What situation does he imagine could have happened? What does it say about Prufrock’s anxiety? What clue does it give us as to why Prufrock is old and alone? 11. Lines 111 – 119 are famous, beginning with “No! I am not Prince Hamlet” and ending, “the Fool.” Notice the movement–from Hamlet to the Fool. This is a kind of movement that happens a lot in the poem: Prufrock takes us often from a great height (“I have seen my head brough in upon a platter”) to a depth (‘I am not prophet.”). Why do you think Prufrock compares himself to Hamlet? And then why does he, in the same breath, deny that there is a comparison? What assessment does Prufrock make of himself in this passage? 12. Notice the shift in mood, tone and rythm in the final stanzas of the poem, lines 120 – 131. How does the mood, tone and rythm of the poem change? How might it reflect a change in Prufrock’s frame of mind? How does the setting of a seashore contribute to the change in tone? Why does Prufrock bring up mermaids? What do mermaids symbolize (they have to be symbols, since mermaids don’t exist)? Why does he shift from mermaids in the very end to “sea-girls”? 13. Those last three lines of this poem haunt me. They always haunt me. Combined with the previous three lines, I think that the last two stanzas of this poem are the most beautiful in any poetry. High praise! What is Eliot saying? What do you think he means that “We have lingered in the chambers of the sea,” and why do we linger “Till human voices wake us, and we drown”? Why do we drown? Why is it “human voices”? What other kinds of voices can there be? 1. How would you describe the tone of “The Second Coming”? In the first stanza, what vision of the world does the poet express? How does he describe the state of things? One version of Yeats’ philosophy concerning gyres. 2. What do you think Yeats means by the first two lines: “Turning and turning in the widening gyre / The falcon cannot hear the falconer.” Look up the word “gyre,” particularly Yeats’ use of the word. Consider what Yeats suggests about the world situation with the image of the falcon that cannot hear the falconer. 3. What is the tone of the first few lines of the second stanza? How would you describe the emotion of this voice? What is the “second coming?” What is it about the second coming that the poet seems to beseech? How does the second coming become darkly ironic by the end of the poem? 4. Starting on the fourth line of the second stanza, describe the poets vision. What is the “vast image” he sees? How do you interpret what he sees, and what it represents? 5. The poem was written in 1922, not too long after the end of World War I. Even though many thought it was the war to end all wars, what does Yeats seem to prophecy in this poem? What type of future does he seem to envision? 6. What do you think is the poet’s attitude toward Christianity? Shelley, like John Keats, was a “high romantic,” meaning one of the romantic poets in the generation following Blake, Wordsworth and Coleridge. Like Keats, Shelley crafts himself into the artist who burns with his creative spirit, allowing his poetry to consume him. Shelley, more than any of the British romantics, desires art to consume him as much as he wishes to consume art. In many ways, Shelley represents everything you either love or hate about romanticism. The Poet as a Prophet. He is a master of lyricism, his poetry moving like passionate music that can become at times — for me, at least — overbearingly operatic. A consummate believer in the Self, he takes the poetry as a worship of selfhood to dizzying heights. The poet, for Shelley, is a visionary, one who does not just speak for the gods, but as a god. Accordingly, Shelley harbored a religious sense of the great artist as martyred for his vision. The great poet is destined to suffer and to die upon the pyre of his own creation. For Shelley, the great figure of mythology is Prometheus, chained to the side of a mountain by the gods as punishment for usurping godly power in his invention of fire. Shelley’s great poem is his epic Promethues Unbound, which you thankfully do not need to read for my class (although it is required reading for anyone who wishes to specialize in British romanticism). Whether you find Shelley’s poetry wonderful of sickening, “Ode to the West Wind” is a lyrical masterpiece, and encapsulates Shelley’s vision of himself as a poet and the creative process. Like so many romantics, Shelley suffers from the tragic attempt to reconcile being with nature. Part of the “romantic agony” involves the desire of the poet to not only represent nature in a poem, but to become nature itself. Like the epic struggle with time, the struggle to unite with nature becomes doomed to failure for the human. One hundred years later, Yeats would famously write of his desire to become one with the eternity of nature by freezing himself into a mosaic in “Sailing to Byzantium.” Yeats is one of the few famous heirs to the romantic tradition in the twentieth century, along with Wallace Stevens, who builds upon Walt Whitman and John Keats, and William Carlos Williams, who Paterson continues almost too facilely Whitman’s Leaves of Grass. In “Ode to the West Wind,” Shelley imagines himself one of the infinite leaves blowing in the west wind of autumn that precedes the winter. The leaves of autumn that fall to the ground, mixing with the frozen dormancy of winter, grow to new life in the spring. Shelley yearns for his poetry to take part of the same natural cycle of death and life, life and resurrection. The image that runs through the poem is that his poetry is like the leaves blowing and falling upon the entire world, and growing into new creation that will summon mankind–like Christ’s resurrection–to see his vision. Hence, there are rampant religious analogies in the poem, yet Shelley uses them to reject a classic Christian vision for one that almost returns the poet to a pagan visionary. At the climax of the poem, line 54, Shelley cries out, “I fall upon the thorns of life! I bleed!” The poet at the end may be spent after the act of poetry, as Shelley says to the wind, “Drive my dead thoughts ever the universe” (line 63), but his vision is “Like withered leaves to quicken a new birth!” Like the spring, his poetry will rise again, “And by the incantation of this verse” in order to become revelation for the world. Shelley structures the poem around crafty and various meanings of the words / images LEAVES and WIND. In renaissance sonnets, “leaves” refer to the pages of a book. Metonymically, “leaves” for Shakespeare, or Sidney, or Spencer, can come to mean books, or poetry, or writing itself. So the image of leaves blowing across the landscape in the autumn turns into a metaphor of the poet disseminating his work and his vision. WIND has an extremely interesting etymological history that Shelley uses to a great extent. The word “spirit” comes from the word “wind.” When the Hebrew Bible portrays God breathing into the dust to give life to humankind in Genesis, the Judaic tradition bestows upon wind an image of God’s eternal life. Therefore, “spirit” transforms into the mysterious force of the divine–we have come now to equate that which is spiritual as being holy, or filled with a religious sense, or sacred. Yet we also derive from spirit the notion of lively, or full of life, resembling the enlivening aspect of wind / God’s breath–such as filled with spirit, or describing a person as having a lively spirit. So Shelley utilizes the ambiguity of WIND / SPIRIT to create both a religious and a secular connotation in his poem. Like the breath of God the breathes life into dust–like the west wind the blows the leaves of autumn which will eventually become spring–Shelley desire his “leaves” (his words, his poems, his vision) to circulate amongst the world and to bring revelation to mankind. Not really my cup of tea, but I admire his lyrical density. We do not know at which Grecian urn Keats was looking. Nonetheless, the Grecian urns are some of the most beautiful works of art / craft in the world. John Keats: the Consummate Romantic. John Keats was, in many ways, the epitome of the romantic poet. He was of a generation of poets known as “high romantics,” which included Percy Shelley and Lord Byron. They were writing most of their poems in the early 1800s, and are considered high-romantics because they follow the initial romantic breakthrough of Wordsworth, Coleridge and the German and French romantic philosophers. For the most part, romantic poetry had become more accepted when Keats was writing, although there still remains a feeling amongst high-brow intellectuals that romanticism is a sort of dirty, low-brow literature. It is interesting to see moments when Jane Austen clearly satirizes romantic poetry in her novels. Often when one of her characters enjoys romantic poets, they are the individuals Austen holds up in scorn. Austen’s novel Northinger Abbey is a very funny satire of the Gothic tradition growing in popularity in the early 1800s. The Agony and Ecstasy of Romanticism. Keats absorbed in a book. Romanticism gives birth to scenes such as this, people absorbed in reading or writing. It is known as “the scene of reading (or) writing.” Such images were not very prevalent before the late 1700s because 1) you do not have too many people reading books, since there were not many around, or writing 2) Such an image of solitary engagement in an imaginative realm would only convey suspicion. Artistic solitude as a value is a romantic invention, one that we still value today. As you can see, I predicated these dichotomies with the word, “desire.” The notion of desire–what desire means, how desire inspires and drives literature–becomes a heated issue in romanticism and continues until today. Keats reveals the joys of deisre, and the disappointment and sense of incompletion that follows. First, you need to establish a sense of “place,” “perspective” and “object” in this poem. What is Keats looking at? How close is he to the object? How does the object move him, and why does he choose this particular object over anything else he might study? What scene does the urn depict? What pictures does Keats see and record in his poem? Why do these particular images move him to write a poem? How do you think that these pictures / images speak to Keats? How do they convey “theme” (that word I despise)? The scene on the urn that Keats depicts in his poem is full of movement, a flurry of activity that races around the urn–around and around, you might say. How is such a scene, however, paradoxical in the context of its depiction? What is, in short, ironic about the constant activity that Keats observes on an urn. Paradox is the central trope of “Ode on a Grecian.” Can you try to come up with the varioius paradoxes that structure this poem? It is helpful to think of the many bipolar-oppositions in the poem: life / death; movement / stasis; youth / age; visual / verbal; inner / outer, etc. What effect does the poem have that Keats is not writing about “nature” in its natural context — he is not looking at the world around him and holding a mirror up to represent it — but he is looking at “nature” as it is depicted on a work of art. 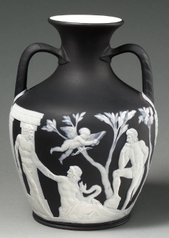 In other words, Keats is creating a work of art — the poem — by looking at another work of art — the urn. If Plato were alive at the time, he would have claimed that Keats looks at an inferior object because it is one step removed from reality, and creates an even more inferior object, because his poem–an imitation of an inferior reality–is therefore two steps removed from reality. The genre in which an artist creates a work of art (or a poet writes a poem about a work of art) is known as ekphrasis. In what ways do you think that Keats plays with reality by using ekphrasis? Consider the poem as resembling (although not the same as) how Shakespeare would create a play-within-a-play. Near the end of the poem, Keats calls the urn a “Cold Pastoral!” Why? Is this not a rather sudden and unexpected judgment? Why cold? How can a “pastoral” be “cold” in the first place? OK, the mysterious final two lines. 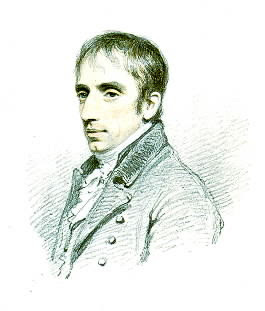 Although we will look at several of Wordsworth’s short, lyrical poetry, to fully understand his creative genius and the influence he has had on poets all the way up until today, you really should read his longer poems, such as Ode: Intimations of Mortality and The Prelude. Wordsworth creates what I would call a cartography of memory, the dynamics by which selfhood depends upon a reconciliation of the past, the present and the future. He uses his long poems to explore his individual emotional development, and to try to understand his self-hood in the context of time. “I Wandered Lonely as a Cloud.”The following are questions aimed to provoke you into reading the poem closely. 1. Wordsworth uses a lot of figurative language: poetic devices meant to twist the usual meaning of words, such as metaphor, simile, personification, etc. Scan through the poem, and check off instances in which you find Wordsworth using language figuratively. 2. Ponder the first two lines of the poem, in which Wordsworth forms as simile: “I wandered lonely as a cloud / That floats on high o’er vales and hills.” How does the simile work? What does the poet suggest about his state of mind in that he wanders lonely like a cloud? Recall how we used Blake’s “The Sick Rose” to interpret the symbolism. Do the same here by thinking of the associations you can make to “cloud,” “floats,” etc. 3. What is significant about the “daffodils” the poet “wanders” upon? What figurative language does Wordsworth use when he describes the daffodils with such terms as “dancing,” “host,” “crowd”? What images do the daffodils conjure in your mind? What metaphor do you think Wordsworth forms with the vision of the stretch of daffodils? 4. 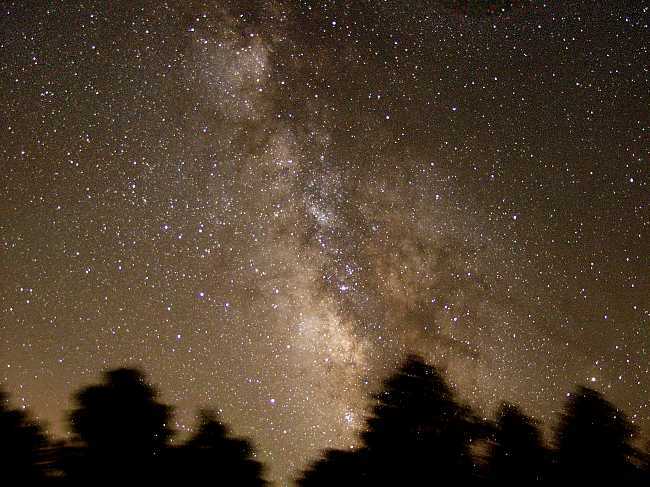 Why do you think the poet comapres the daffodils to the stars and milky way? How does the simile in lines 7 – 8 emphasize and increase the importance of the daffodils? 5. After seeing the daffodils, why do you think the poet says, “I gazed–and gazed–but little thought / What wealth the show to me had brought”? 6. How is the final stanza of the poem very different from the preceding stanzas? Consider the poet’s location in line 1, and his location in line 19. What does the movement between the two locations in the poem say about the poet’s state of mind? 7. How has the vision of the daffodils affected the poet? Based upon the poet’s response to the daffodils by the end of the poem, what do you think they symbolize? Or think of it this way: what do the daffodils represent to the poet other than their amazing sight on his sojourn into nature? This is a deceivingly simple poem. It is actually quite complex. What does the poet mean when he claims his “heart leaps up” when he sees “a rainbow’? Does it strike you as a bit dippy at first? When in our life may the sight of a rainbow have made us “leap up”? Do we “leap up” when we see a rainbow in the sky now? What may have happened to our experience of seeing a rainbow in the intervening years of our life? Look at line 3 -5. Each line begins with “So.” What effect does this have? What does each line represent? Look closely at the grammar and tense of each line. How do you interpret the startling exclamation of line 6, “Or let me die!” Do you think that this is hyperbole (a poetic device in which a poet purposefully exaggerates, often for rhetorical reasons), or do you think Wordsworth cries out with sincerity? Finally, how do the final two lines create both the conclusion and the “frame” around the poem? Think carefully about the words “wish,” “bound,” and the phrase, “natural piety.” In fact, look the word “bound” up in the dictionary. I have seen these types of daffodil fields in England, and they are quite spectacular.